A bit of history returned to Weber’s a few week’s ago. 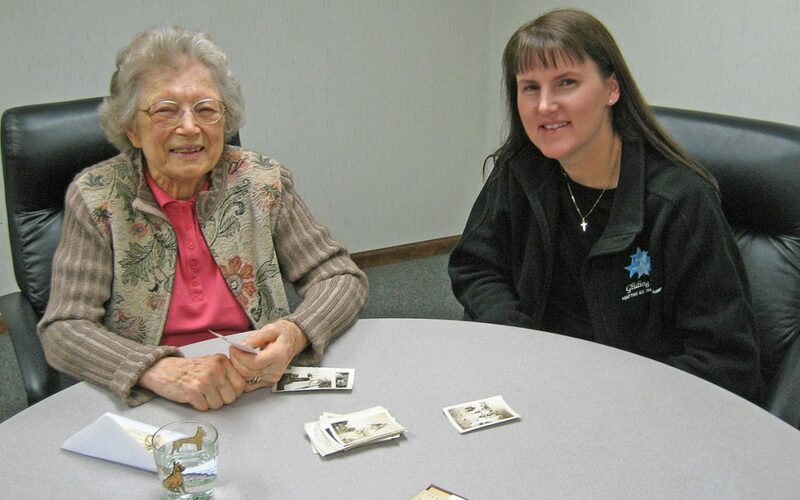 Betty Suto, an employee of Heintz & Weber between 1937 & 1947 stopped by and had a wonderful conversation with Suzanne. A young whip with a tack sharp memory, Betty showed Suzanne a bunch of old photos and talked about the early days at Weber’s Mustard, including stories about Joe, Laura & Ruth Weber— the founder and family members of this now historic company. What an honor it was to meet such an incredible person with such a wealth of knowledge!!!!! Betty was so touched when we produced the original 1943 Ledger Book with her name listed among the 52 current employees at the time. We even found it fun to see that on the week of January 2nd, 1943, Betty earned a $ 23.23 paycheck for that week’s pay.